Billion Dollar Brows at Star Brows! My first California brow wax was done at Billion Dollar Brows (BDB) in Beverly Hills. This is the company that helped inspire me to take my passion for perfect brows and make it a business! They contacted me the other day and sent their whole product line for me to sample! Generous, huh? I love to shop for you, finding the perfect products at the best prices. It was great timing because I have been looking for the right brow and lash conditioner with a growth stimulant. 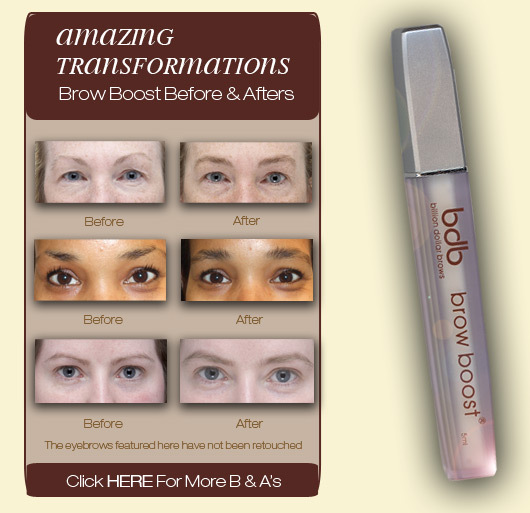 I’ve been using their Brow Boost for a couple of weeks and am pleased with the results – and it’s only $20! Even if your brows and lashes are long enough, it is a great conditioner that keeps them in shape and healthy. Watch for Billion Dollar Brows at Star Brows!